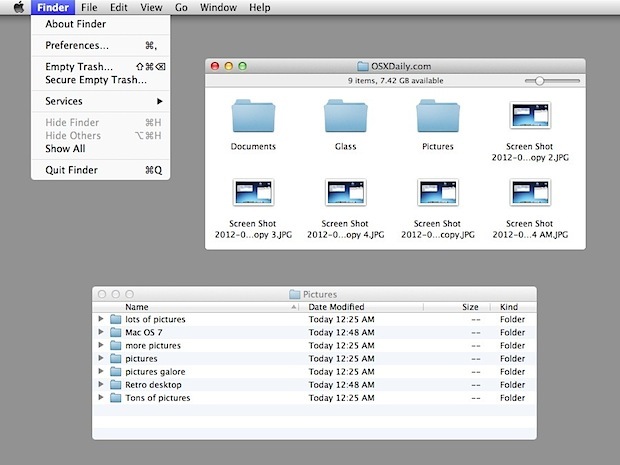 Suddenly OS X Finder looks more akin to retro versions of Mac OS from long ago, and each folder will open in a new window too, behaving like Mac OS System 9 and prior. 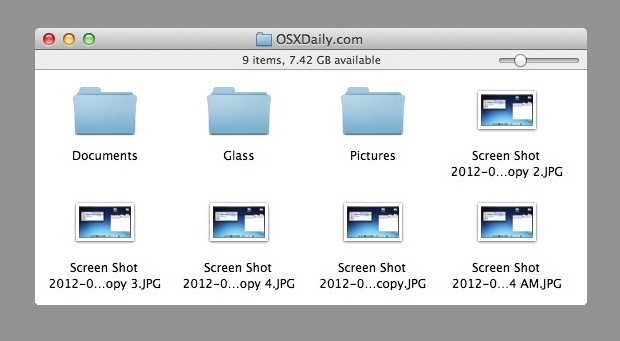 Mac OS 7 and the latest versions of OS X are now not so far apart, are they? So going retro is fun and all, but is there a practical reason to simplify the OS X appearance? In some cases, yes. 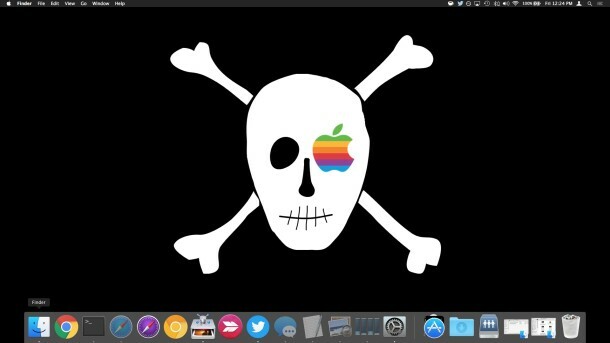 Disabling window shadows and using a plain color background uses less system resources and can actually help to speed up older Macs, though they’d be best combined with some other tips to breathe new life into an old OS X machine. How did you get the status bar on top of the finder? Mine is placed on the bottom. How did you get ShadowKiller to work with what I’m guessing is OS 10.6 or 10.7? That app hasn’t been compatible with a current mac OS since 2006.
nerdiest thing I’ve seen all day, how cool. Tried using ShadowKiller. For some reason, it just force quits on me upon launching it. Never mind, it works fine. No need for alarm. When I hide the toolbar folder no longer open in tabs (TotalFinder) but they open in new windows. Is there a way to change this?